6 Dead, 2 Wounded After Gunman Opens Fire in Kalamazoo, Mich.
Six people were killed and two others wounded in a series of apparently random shootings throughout Kalamazoo County, Mich., on Saturday evening. Initial reports said that a 14-year-old girl was killed, but she is critically injured but alive. 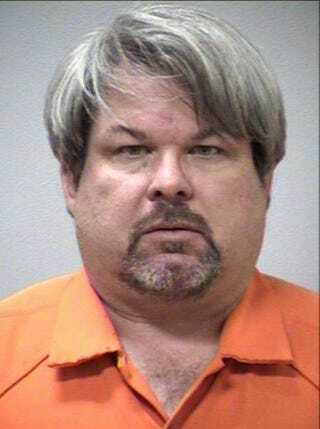 NBC News reports that alleged shooter Jason Brian Dalton, 45, was taken into custody early Sunday morning and was being questioned over shootings at three different locations in Kalamazoo County. “There is no connection between any of them; this all appears to be random,” Kalamazoo County Undersheriff Paul Matyas said. Reports state that the rampage began around 6 p.m. Saturday at a Kalamazoo County apartment complex, where a woman was shot several times; she is expected to survive. About four hours later, around 10 p.m., police were then called to a car dealership, where two men were fatally shot, one of them an 18-year-old. About 10 minutes after that, four women were fatally shot in the parking lot of a nearby Cracker Barrel restaurant, and a 14-year-old girl was seriously injured, said Kalamazoo Country Prosecutor Jeff Getting. Dalton was taken into custody around 12:40 a.m. after being stopped, police said. Getting said that a semiautomatic handgun was seized in the arrest. None of the victims’ names were released, since relatives were in the process of being notified.